The ocean is home to a wide variety of bright, lively and delicious fish species. On any given charter, guests can come across any number of sport and trophy fish, as well as great-tasting seafood. Here is a look at the top five fish species you might catch on your trip in our fishing area, as ranked by Wide Open Spaces. 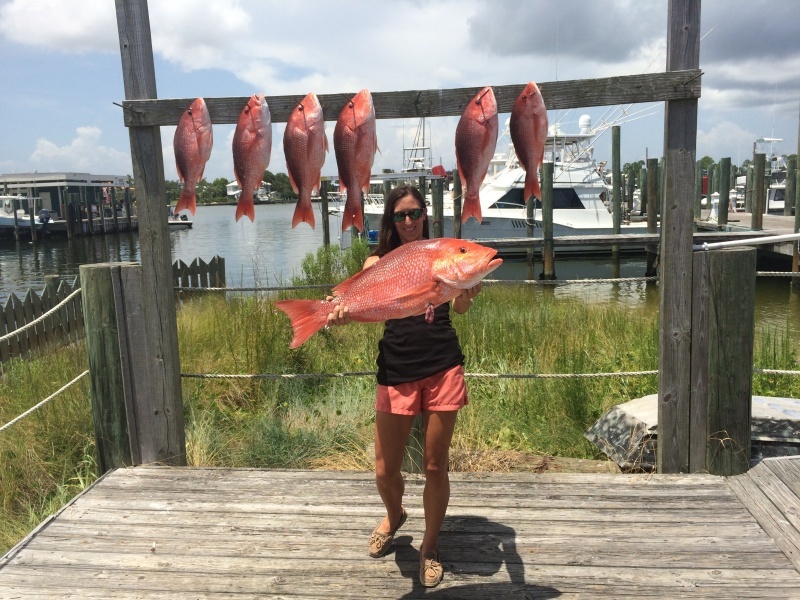 While not appearing on Wide Open Spaces’ list, red snapper is one of our leading target fish aboard The Triple Trouble. One of the most popular fish for both commercial and recreational fishers, this mild whitefish is delicious fried, baked, broiled or grilled. These fish can often grow as large as 25 to 40 pounds, and can live for as long as 50 years or more in the ocean. The yellowfin tuna, along with its cousin the blackfish tuna, are a commonly sought-after catch for commercial fishermen. Tuna is one of the most commonly enjoyed fish around the world, and the yellowfin is one of the ocean’s strongest and fastest prey. Growing up to 250 pounds, these fish can also be a tricky catch, with swim speeds reaching as much as 50 mph. The dorado is a vibrantly colored fish that is more modest in size, typically capping out at about 80 pounds. Also known as a mahi mahi or dolphin fish, these fish are a delicious ocean treat to eat. Wide Open Spaces notes that this fish is one of the most common used in fish taco recipes, for example. Besides having a fun-to-say name, the wahoo fish is one of the fastest swimmers in the ocean. Their narrow and long bodies make them very speedy for their size. Silvery in color with blue stripes running the length of their bodies, these prey also come equipped with razor sharp teeth, so fishers should exercise caution when bringing them aboard. 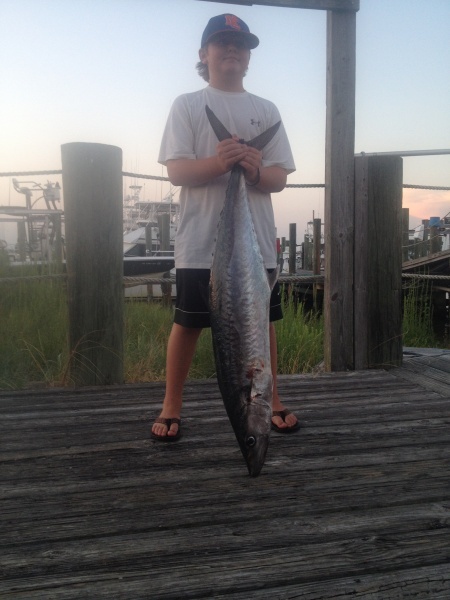 Lastly, while not appearing on Wide Open Spaces’ list, the king mackerel is a traditionally valued migratory fish that offers a taste comparable to the wahoo. A beautiful silvery-blue shade, these fish can grow as large as 90 pounds. They have also increased in commercial popularity in recent years, showing up in markets worldwide as fresh fillets. No matter what you catch, our deckhands are happy to clean your fish and prepare it into fillets for you to take home for an affordable rate. Come and get your taste of the open ocean with The Triple Trouble. Call Capt. 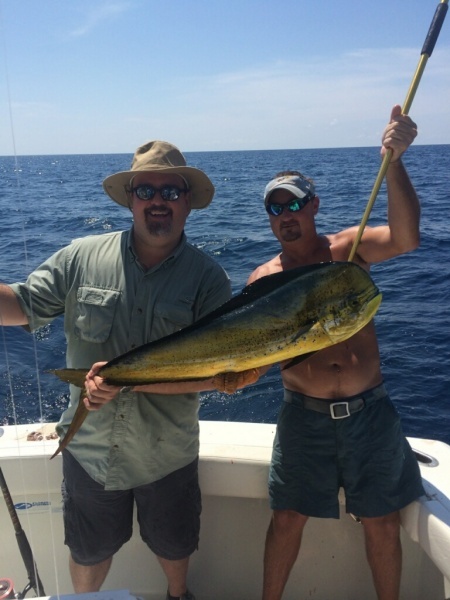 Chad today at 256-431-5767 or email him to find out more about booking your fishing charter trip!